When is the IRS prohibited from taking collection action? 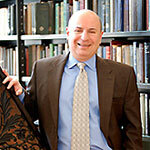 Part III - Howard Levy is a Cincinnati tax attorney with the experience to find solutions to your IRS problems. When business assets of an individual are at stake, only if a determination is made by the IRS that other assets are insufficient to pay the liability. In addition, the proposed seizure must be approved by an IRS Area Director. See Internal Revenue Code Section 6334(e). When the IRS has requested your appearance by summons to ask you questions and determine your assets, no collection can occur on the day of your appearance. See Internal Revenue Code 6331(g). When you can show the IRS that the amount you owe is likely incorrect, IRS policy is to exercise restraint in collections until the issue is reasonably resolved. See IRS Policy Statement 5-16. With the situations listed in Part I and Part II, that makes 15 situations where you are protected from the IRS. This is not meant to be an exclusive list – there are actually more, but these are some of the more common and practical situations.